Drink it in: this is Alpine air. For being this out of breath, your lungs have never felt so refreshed. The flowing valley below holds wonder and intrigue. You’re standing where ibexes roam free, eagles soar, and Olympians have tested their meddle. Over dazzlingly jagged peaks, past shockingly blue lakes, through wildflower-pocked meadows and medieval stone villages. Every day—every hour—brings new adventure. Forget about museums, baguettes or pain au chocolat. You’re looking at the real France. Although Hannibal conquered the Alps over 2,000 years ago, and legions of skiers and snow boarders flock here every winter, there are still wide swaths of undiscovered and little-trekked territory. 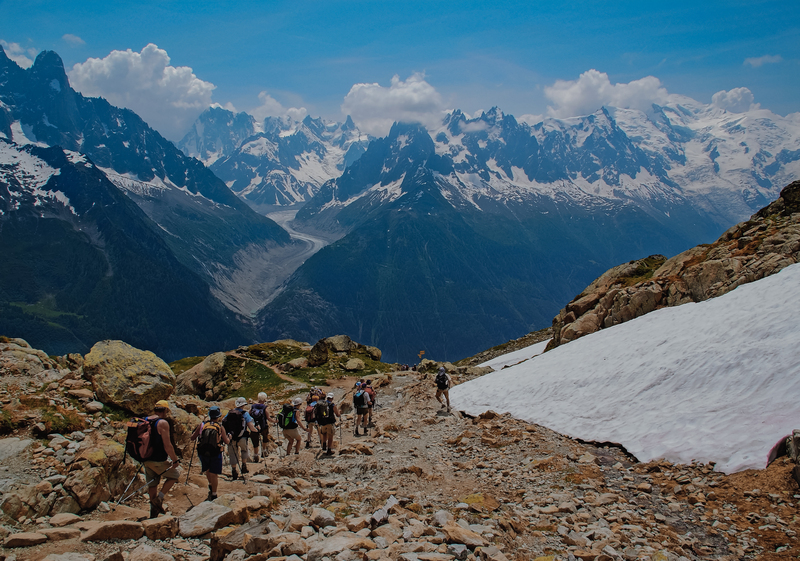 Step by step, we’ll make our way up, down, and around, peak by peak, village by village, on a true ‘grand traverse’ in the classic sense, our epic journey taking us from the foot of Mont Blanc all the way to the sun-kissed beaches of the Cote d’Azur. If you want to redefine everything you know about France, this trip is for you. 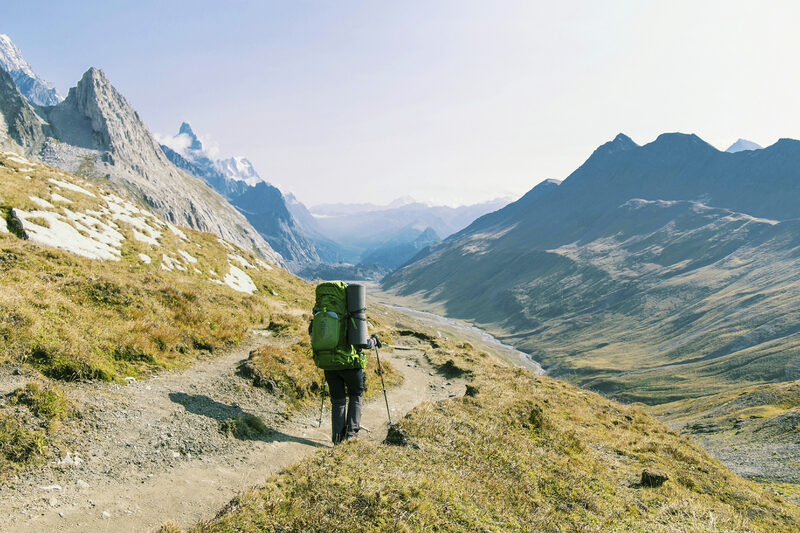 Six to eight hours of hiking per day, through Technicolor landscapes, every inch of it mesmerizing, eating well and sleeping in elegant hotels and mountain inns. Join us in the French Alps on a trip like no other. 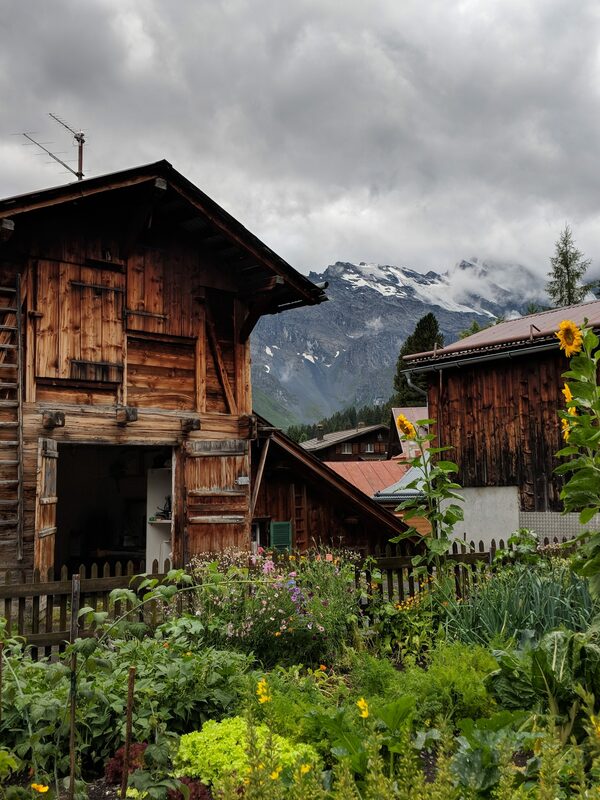 If you’re ready to explore some of the world’s premier hiking trails, and also get a taste of village life in the Alps, this trip is for you. 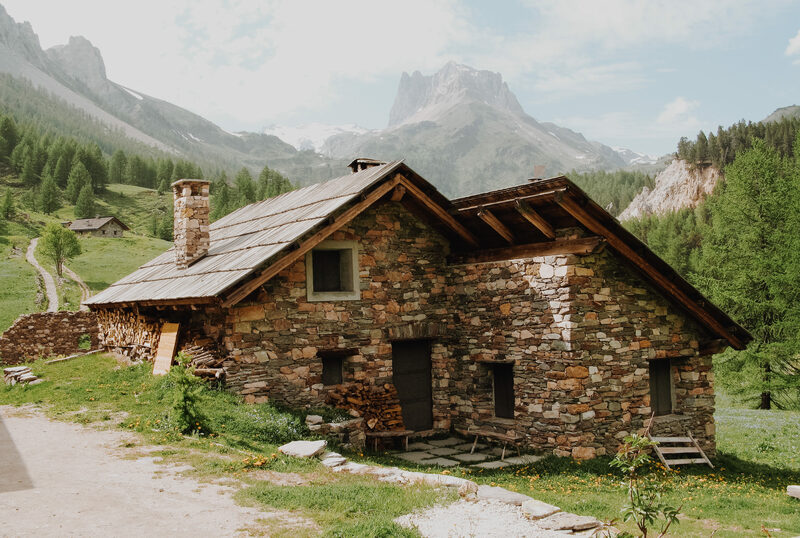 We’ll hike through sparsely populated valleys, and explore protected lands throughout the French Alps, finishing with a swim in the Mediterranean sea. It doesn’t get better than this. This trek is accessible for most age levels who maintain good physical fitness, have previous hiking experience, and are prepared for the demands of hiking in remote areas. Each day we walk 5 to 7 hours, with elevation gains between 1,500 and 4,000 feet. We stick mostly to established trails, at times making use of off-piste routes. In style! This is a fully supported hike led by experienced local guides. Our nights are spent at elegant, comfortable lodges and hotels. We carry lightweight day packs, while the rest of our gear is transferred between accommodations. We’ll have gourmet picnic lunches, with breakfast and dinner at village restaurants. 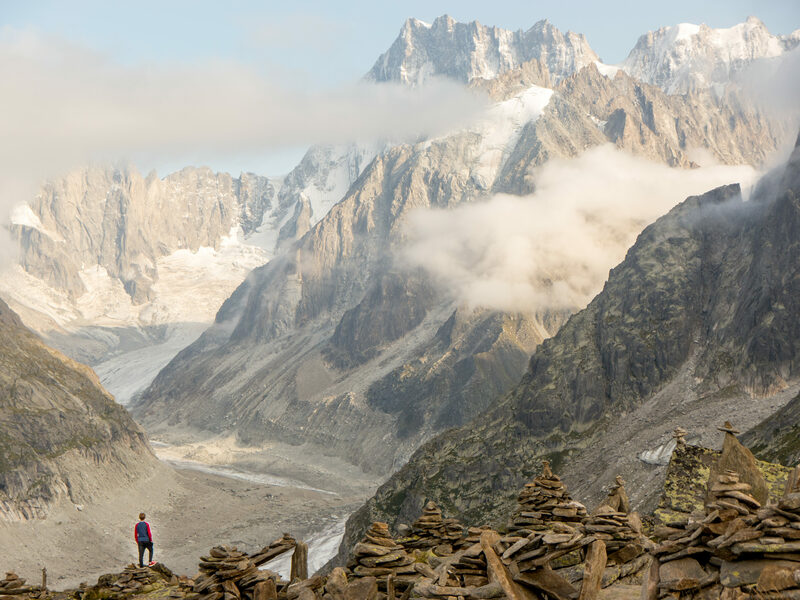 As we tackle this grand traverse, from jagged Alpine peaks to rushing rivers to Mediterranean beaches, we’ll experience the Alps like few others have—and relish every moment. This is France in the wild, as you’ve never before experienced it. Bienvenue à la grande traversée! 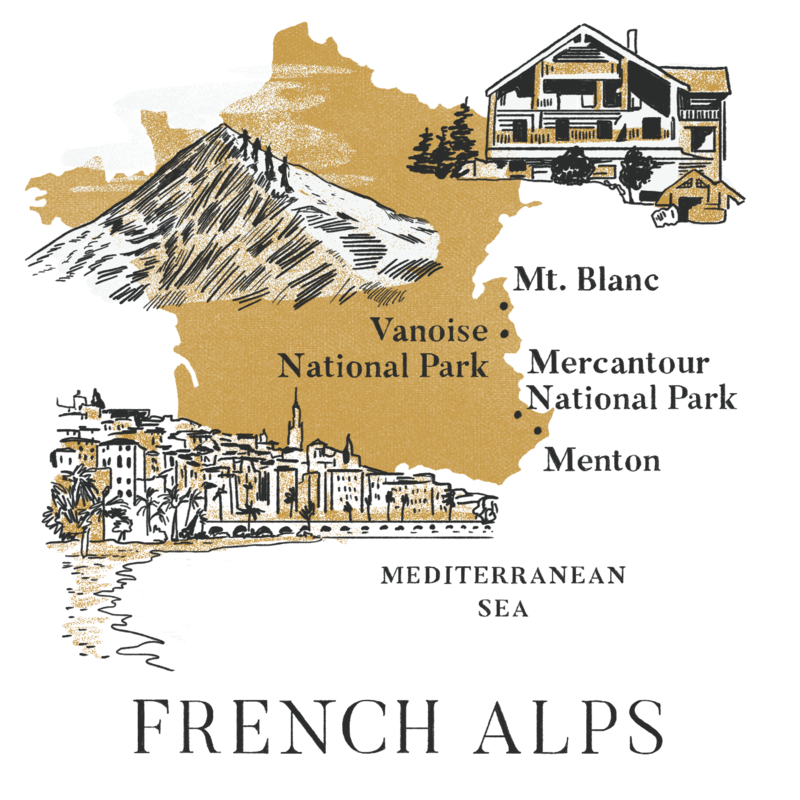 From Chamonix, at the base of Mont Blanc, we’ll grab our day packs and depart for Megève, where we begin the ascent over the grassy slopes of the Mont de Vores. 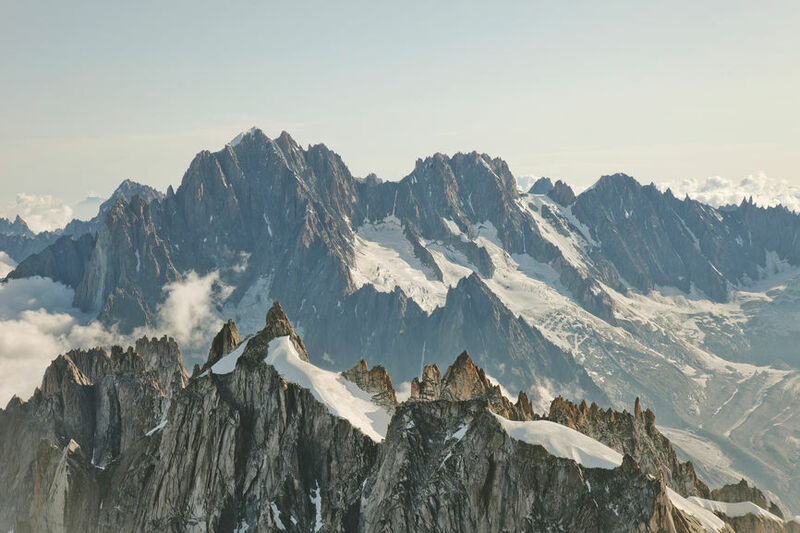 From the wide-open summit we’ll make a long traverse in the shadow of the aptly named Aiguille Croche, or Eighth Needle, to reach the Col de Véry. Its sweeping views of the entire Mont Blanc range includes the summit of the massif itself—the views are unforgettable. In the afternoon we hike down to the picturesque mountain town of Hauteluce, with its Baroque chapel and wooden chalets, then transfer to Beaufort—birthplace of the eponymous raw-milk cheese, a delicacy since Roman times—for the night and a well-earned evening feast to celebrate our first day together. Say a hearty bonjour to the cerulean blue waters of Lac de Roselend. Our trailhead this morning overlooks the winding path along the ridge of Le Mont des Acrays toward the base of the ‘Giant’s Tooth’ peak of the Pierra Menta. 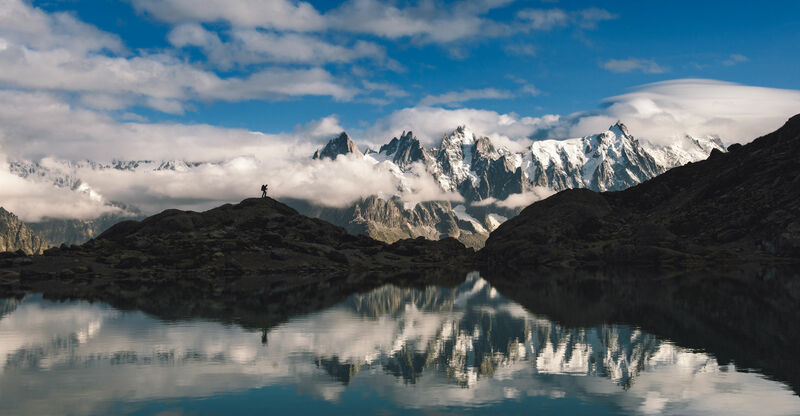 At the Col du Couvercle, we get panoramic views of the southern edge of the Mont Blanc range and the summits of the Vanoise—another unspeakably stunning view on a trip full of them. Later we’ll descend into the Tarentaise valley, the erstwhile capital of the pre-Roman Centrones tribe, past the rushing the Isère river, beloved of kayakers and white-water rafters. We’ll transfer to Landry village to spend the night in comfort. The next day we enter Vanoise National Park. Be on the lookout for ibexes and marmots wandering among the park’s dramatic sinkholes and jagged peaks. We’ll stop to admire the crimson-veined marble, fossils preserved in limestone, and 1,000-plus different types of flora as we start our long ascent to the Col de Plan Sery. Up here, the meadows are carpeted with edelweiss flowers and the feeling is pure Alps majesty. At the foot of the Bellecote summit, we’ll hike down to the valley of Champagny, then transfer to the village of Pralognan for the night. After a short transfer to Le Post de la Peche, we start hiking over smooth, rolling hills until we reach the Alpine farming area of Le Ritord. 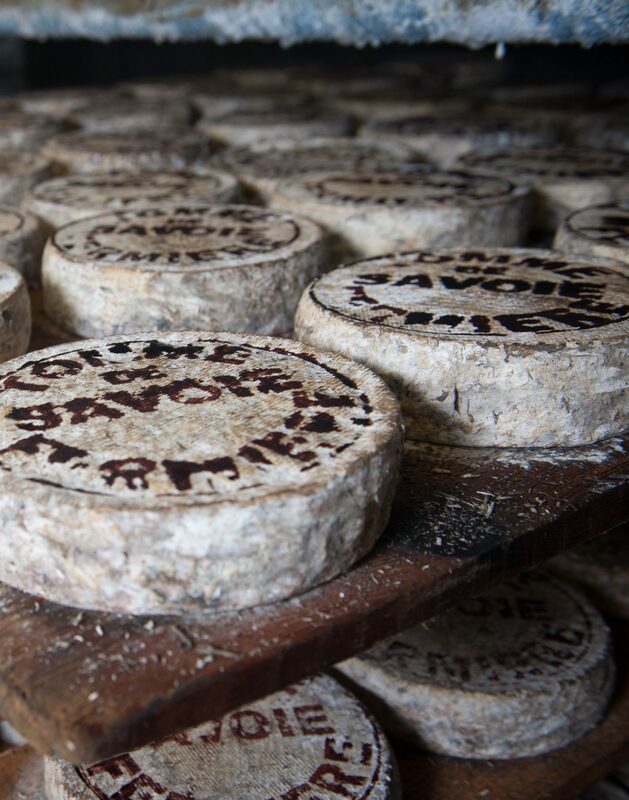 Local artisans here continue to honor centuries-old cheese-making traditions; we’ll stop in for a taste. Stepping off the main trail, we head to Col d’Aussois, the highest we’ll cross on our entire traverse. The pass is wedged between the ridge of la Pointe de l’Echelle (11,227 ft) and the southern tips of the Domes de la Vanoise and the Dent Parrachée (12,129 ft). After crossing the col, we’ll begin our descent through fields of grazing ibex to the lake of Le Plan d’Amont, its cool turquoise waters teeming with rainbow trout. For the evening we transfer to Aussois, famous for its “land-art trail” of outdoor sculptures by local artists. Today we start with a transfer to Modane, across the Maurienne Valley. From the small ski resort of Val Frejus, we’ll begin an easy and scenic ascent toward the open col of Vallee Etroite. From our vantage point in this narrow valley at the foot of Mount Thabor, a borderland area that retains a strong Italian flavor, there are glorious views of the summits of the Vanoise region. Our descent takes us along wild streams and through alpine meadows to the huts of the Vallee Etoite. From here we’ll continue over the Col des Thures and down to the luminous Vallee de la Claree. We spend tonight in Nevache. The next morning, we take short transfer to Villard St Pancrace, then hike into Queyras National Park. Famous for its dramatic rock formations and beautiful meadows, we’ll marvel at the towering spires cutting above the trees. Our hike begins in the hamlet of Chalets des Ayes, and continues up a forested stream to a summer farming region just beneath the Col des Ayes. In the afternoon, we make our way up to the exquisite hamlet of Clapeyto and enjoy a breathtaking view of the valley below. We’ll continue down to the village of Brunissard, then transfer to St Veran for the evening. Our hike today begins at the Chapelle de Clausis and continues to the hut at La Blanche and a quiet mountain lake. The short climb to Col Blanchet allows us to set foot in Italy—since Roman times, this area has been the conduit for trans-Alpine invasions. It’s back to France via the wide and scenic Col Longet. The descent from here is long and gentle, passing through Alpine meadows and along the Ubaye river valley to Maljesset. We’ll spend tonight in Barcelonnette, sampling what’s probably the best Mexican food in Europe—thanks to the local textile merchants who set up trade in and with Mexico following its independence in 1821. Enjoy a rest day, French Alps style! We’ll drive to Saint-Martin de Vesubie—crossing the Col de la Bonette, the highest driving pass in Europe. The afternoon is for flaneuring our way around this once-fortified medieval mountain village, sipping a grand crème at an outdoor cafe and hopping over the gargouille (small mountain stream) that runs through the center of town. 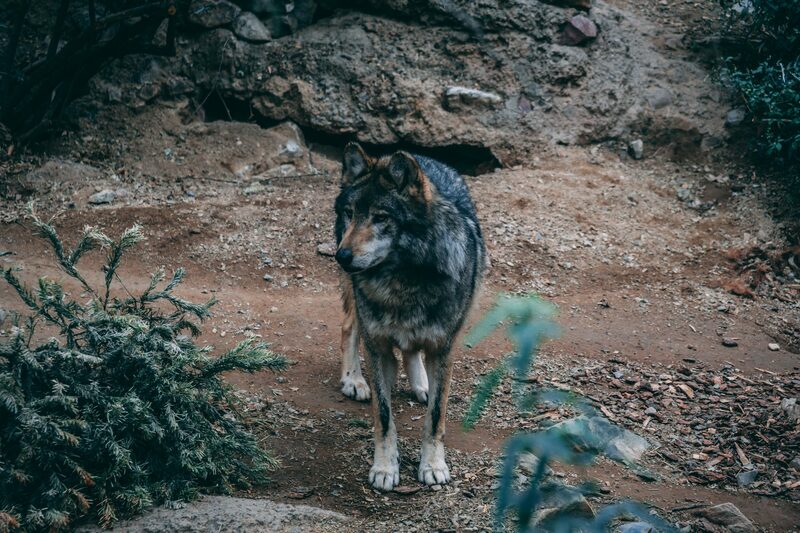 The nearby wolf education center, devoted to the wolves that returned to the region in the 1990s, is a worthy visit. We’re back on the trail the next day! We’ll drive to the end of the Boreon Valley to start our trek through Mercantour National Park. 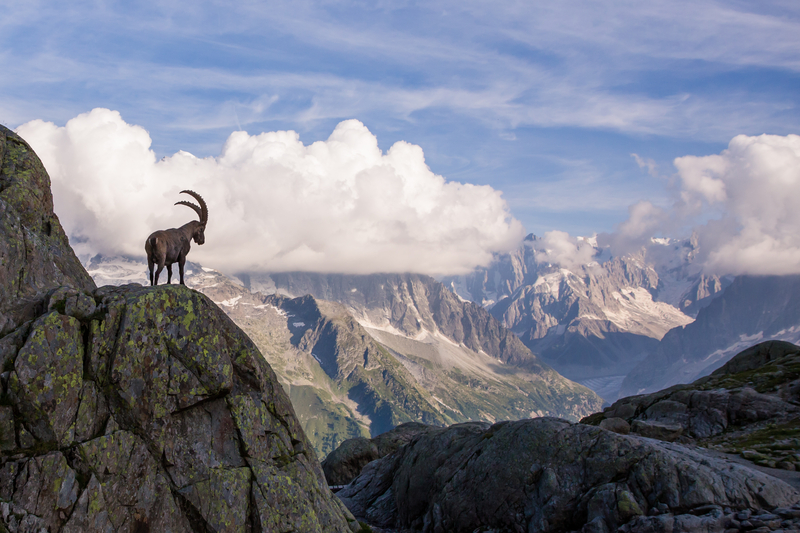 Get ready to enter the home of ermine, chamois, ibex, and eagles. Starting from the stone barns at Vacherie du Boreon, we’ll pass through groves of larch trees toward shimmering Trecolpas Lake, then continue to the Pas de Ladres, our pass for today. Our descent will take us to the Madone de Fenestre, a 14th-century high altar made of Lebanese cedar nestled at the end of the valley. Peaceful. We depart early for Camp d’Argent today. As we follow the GR5 trail along the ridge between the Roya and Bavera valleys, we’re be greeted by the heady fragrances of the world-famous herbes de Provence—rosemary, sage, oregano, marjoram, and savory—which grow abundantly along our route. Next, we’ll approach the medieval village of Sospel, famous for its baroque church, newly renovated town square, and 13th-century toll bridge, one of the last of its kind in the world. Our final trek begins the following day. A hike to the Grand Mont will gave us one last panoramic view of the mountains. Then we’ll march triumphantly down to the Mediterranean village of Castellar, its citrus- and sunshine-colored houses perched on the side of a steep slope overlooking the sea. 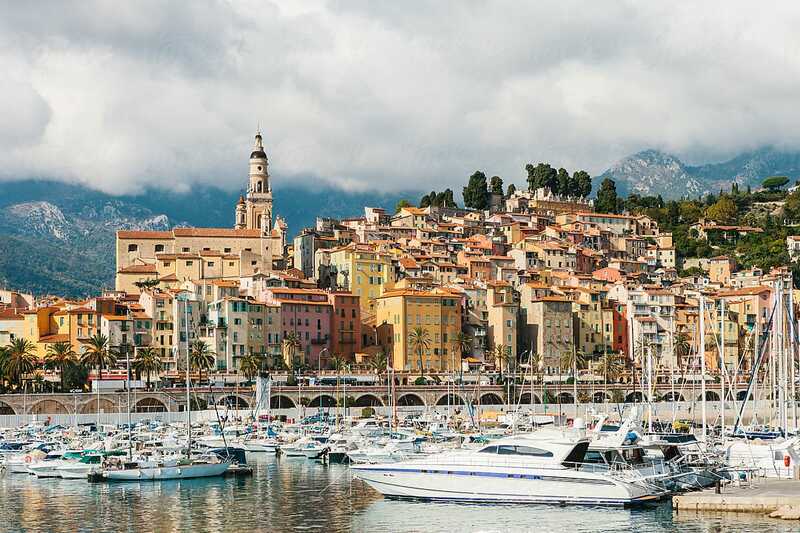 A short transfer will take us back to our hotel in Menton, where we’ll mark the end our journey by dipping our toes into the azure waters of the Mediterranean. Only a few miles from the Italian border, Menton is the warmest and most dolce vita of the Cote d’Azur resorts. The perfect spot for us to celebrate the end of our grand traverse. It’s time to say goodbye to France (actually, make that au revoir) knowing we’ve accomplished something special—a grand traverse of the French Alps from Mont Blanc all the way to the Cote d’Azur. 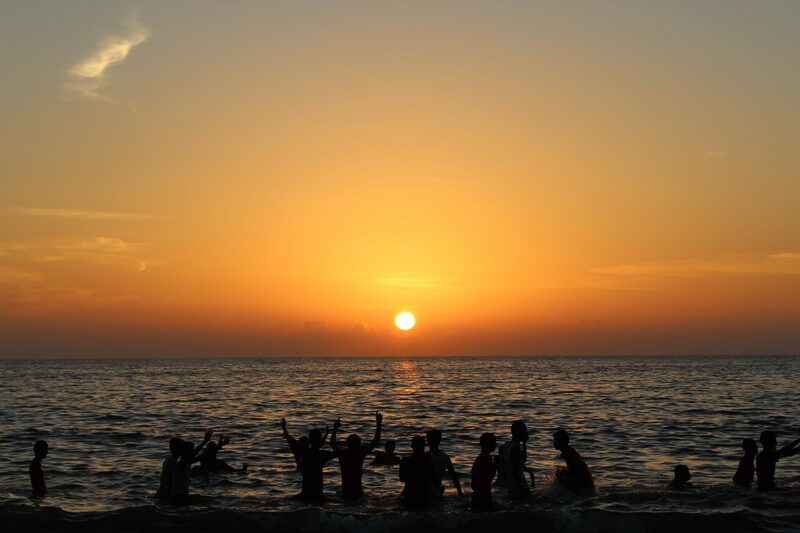 After a last breakfast, we’ll pack up our gear – say farewell to our new friends – and head for the airport. From Alpine lodges to Mediterranean resorts, we strike the perfect balance between luxury and intimacy. This classic Beaufort hotel is the perfect place to start our journey. Comfortable rooms, al fresco breakfasts served under cheerful yellow umbrellas, and a Relaxation Area with chromotherapy treatments for rebalancing the chakras, if the mood strikes you. Located in the heart of Landry village, with 15 cozy rooms and panoramic views of the valley below. 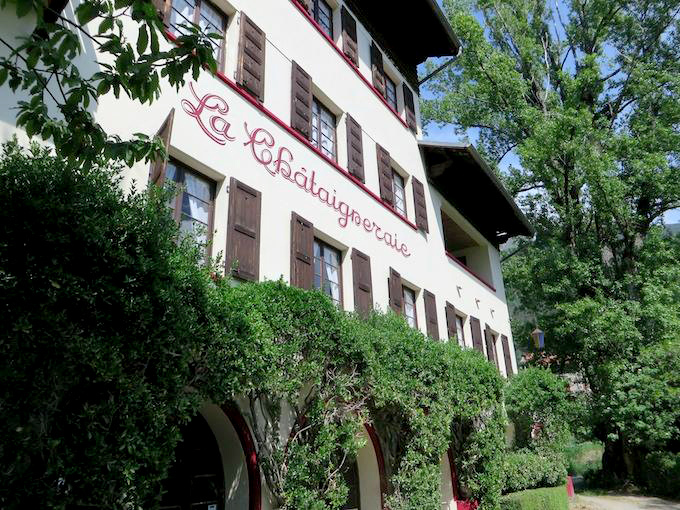 The restaurant is devoted to regional specialities, from plates of cured meats to Savoie wines and award-winning local beers. We'll sleep well here. 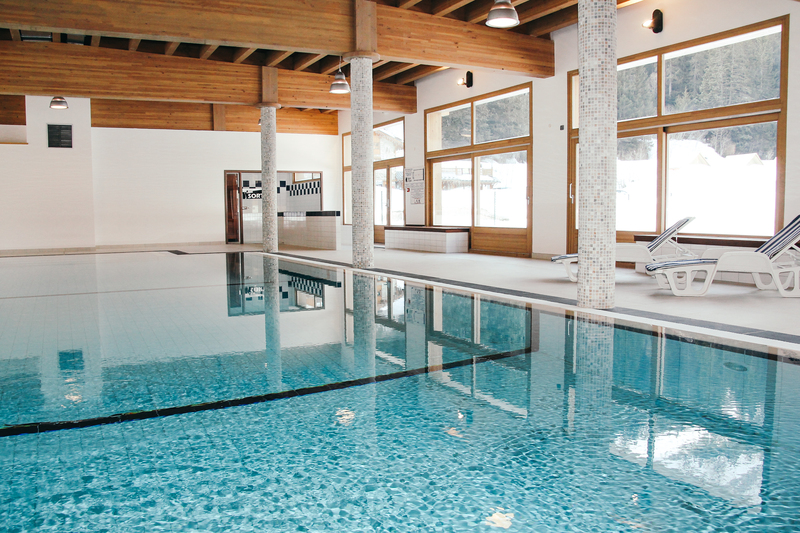 This mountain chalet in Pralognan, located within Vanoise National Park, features wood-paneled walls and an indoor swimming pool, perfect for restoring the spirits after a long day on the trails. 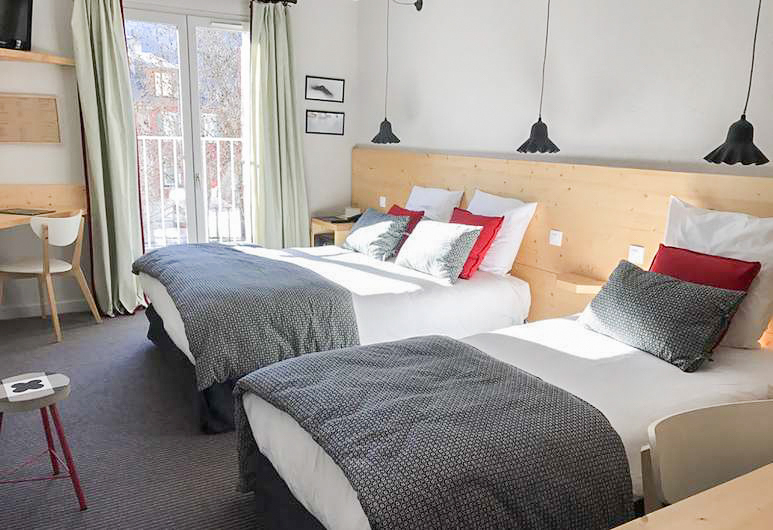 Our hotel in Aussois has rooms with unforgettable views—not to mention a hot tub and solarium that overlook the mountains, too. 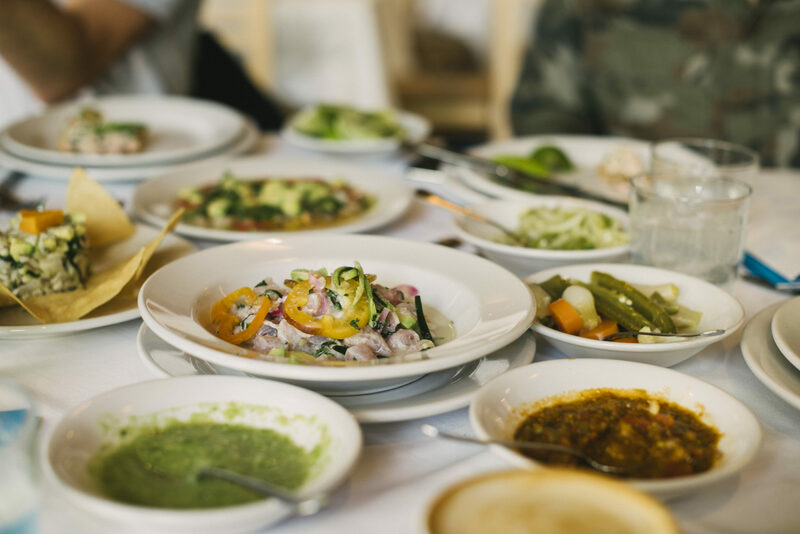 We'll dine on the panoramic outdoor terrace from a menu that takes 'local and seasonal' to new heights: everything served hails from within a 10-mile radius. It's located in the hamlet of Nevache, the textbook definition of a 'charming village' set in peaceful Claree valley. This is the place to curl up in front of a roaring fire in the lounge, sunbathe on the south-facing terrace, or stargaze in the outdoor hot tub. 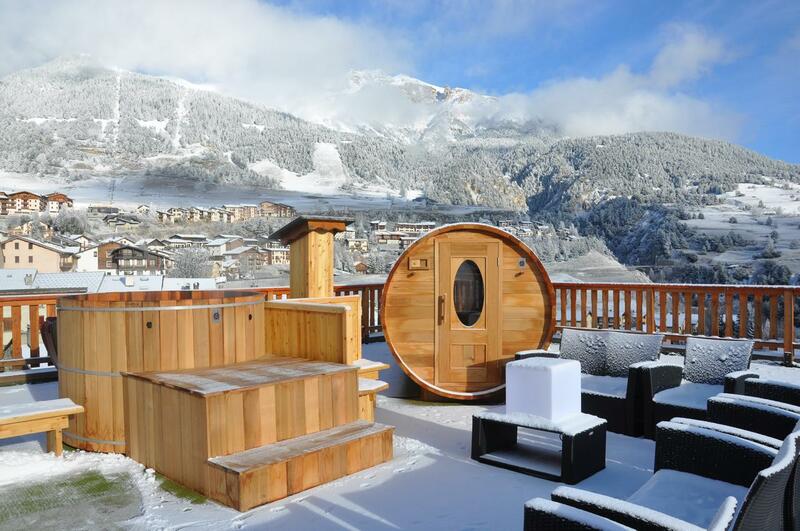 Relax fireside at one of Saint Veran's most-prized hotels. It's the views from the panoramic terrace and lounge that you'll treasure. A wood-fired grill at the hotel restaurant cooks up some of the region’s finest game dishes. 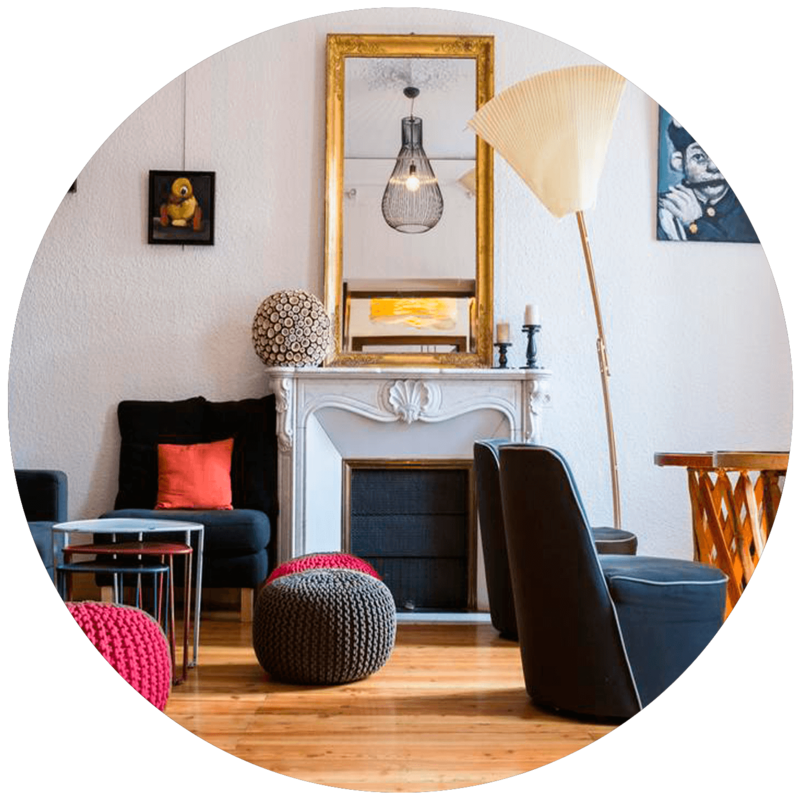 Artsy and hip, this design-forward hotel in Barcelonnette features a rotating exhibit of multimedia works by young international artists. The quirky library and bar wouldn’t feel out of place in New York or Berlin—but the views and mellow vibe are pure Alps. It's just steps from the village center in St Martin de Vesubie. Twenty-seven rooms are divided between two equally stunning historic properties set inside a tranquil park. While away the cocktail hour on the gravel terrace, in the shade of leafy chestnut trees. 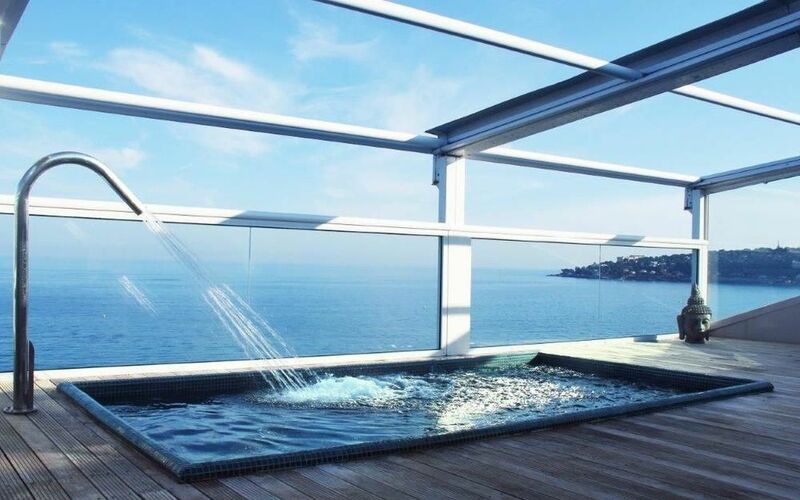 Located on Menton's aptly named Promenade du Soleil, the moment you enter this light-filled hotel you know you couldn’t possibly be anywhere but the Cote d’Azur. Enjoy a pastis on your balcony, take a dip in the rooftop pool, book at massage at the spa—and simply drink in the sun and sea at every turn. Eleven nights at unique mountain village accommodations; private minibus for luggage transfers; certified trekking guides to accompany all day trips and excursions; departure airport transfer; entrance fees; all breakfasts, lunches and most dinners; local beverages with meals; gratuities for local staff. We will be joined for this adventure by expert expedition guides. 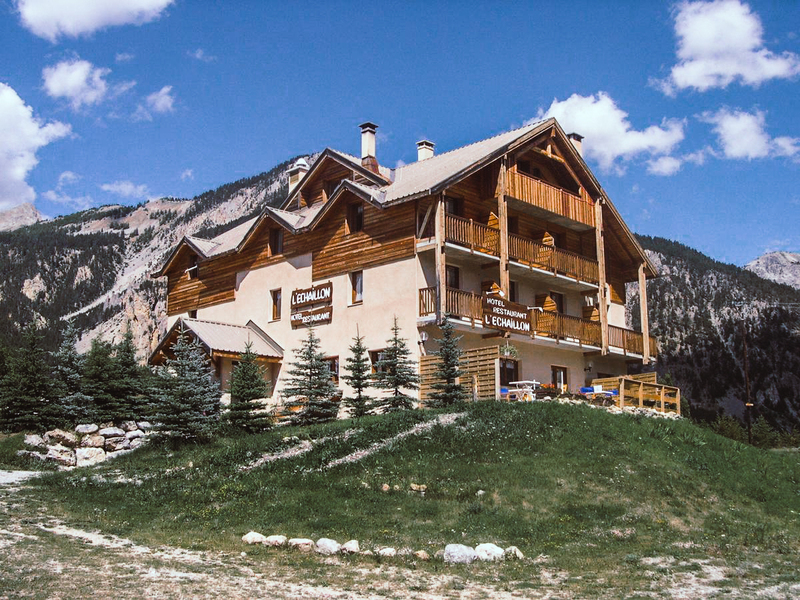 Each guide is highly qualified in all necessary skills to safely travel through the French Alps. They will be with us for the entirety of the adventure helping us carry group supplies and helping us see the true Alps experience. 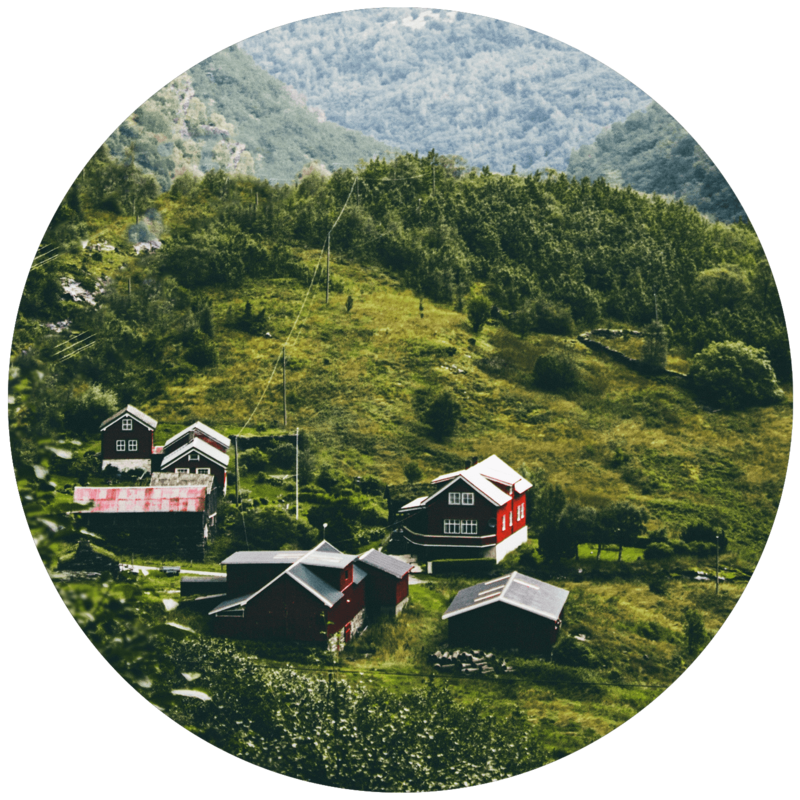 A Modern Adventure Trip Leader will also join the group as an experienced travel guide, a representative of Modern Adventure and the person to go to with questions or concerns while on the trip. This is a moderately difficult hiking adventure. We’ll sleep in hotels and lodges each night. On the trail we will carry a day pack with water and daily supplies, while the rest of our luggage is transferred between hotels and lodges. We’ll follow well-maintained paths but sometimes go off-trail. We’ll average 5 to 7 hours of walking per day. While this hike is ideal for all skill levels, previous hiking experience is helpful and we strongly recommend that all participants have a good level of fitness and overall health. 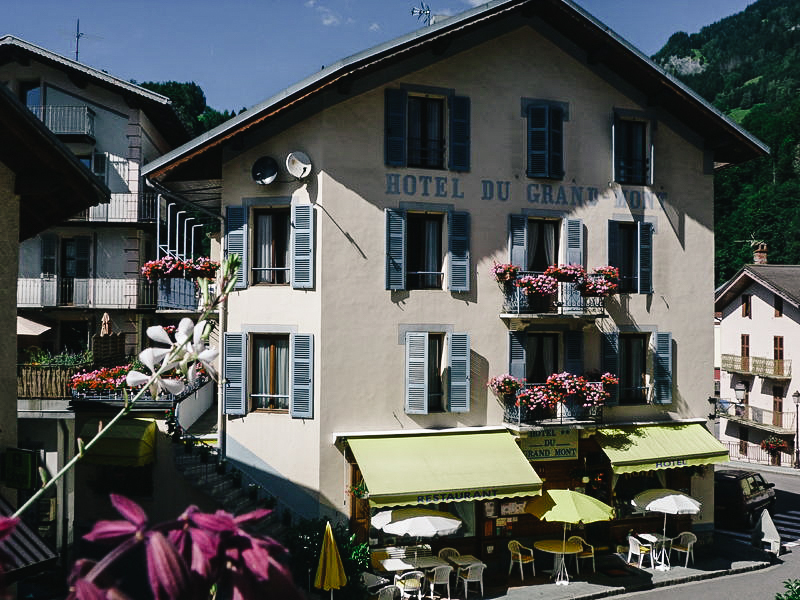 We recommend arriving in Chamonix, France on or before Saturday, September 7, 2019 , giving you plenty of time to acclimate, relax and refresh before the adventure begins. We recommend flying into the Geneva Airport (GVA) in Geneva, Switzerland, and transferring via train or airport shuttle to Chamonix. Our trip ends on September 19, 2019. Included in the trip cost is a private Modern Adventure group transfer to the Nice Côte d’Azur Airport (NCE) in Nice, France. Your onward flight from NCE should depart no sooner than 1pm on September 19, 2019. For the eleven nights in the Alps we will be staying at mountain hotels and lodges. Who is going on this adventure? This adventure is recommended for travelers aged 18 and above who are in good health and have some experience with hiking. 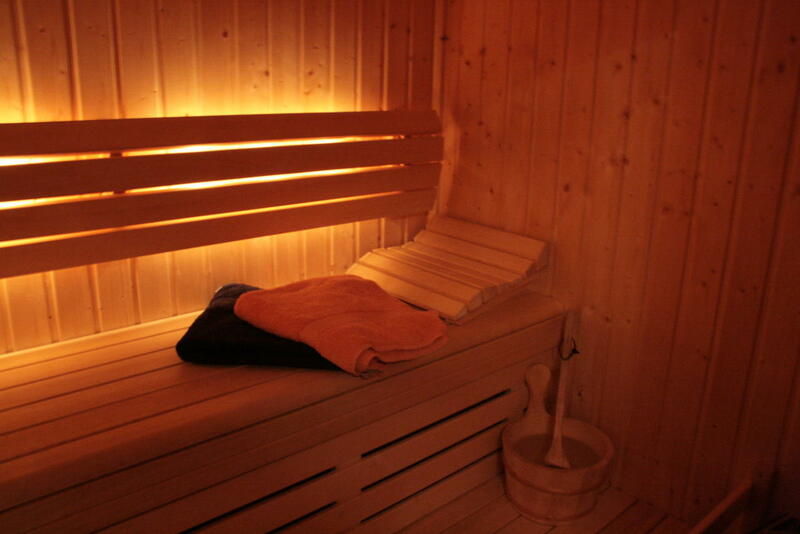 You will be expected to load and unload your own backpacks and manage your own physical comfort and well-being. This adventure will be limited to no more than 13 fellow adventurers and your Modern Adventure team. 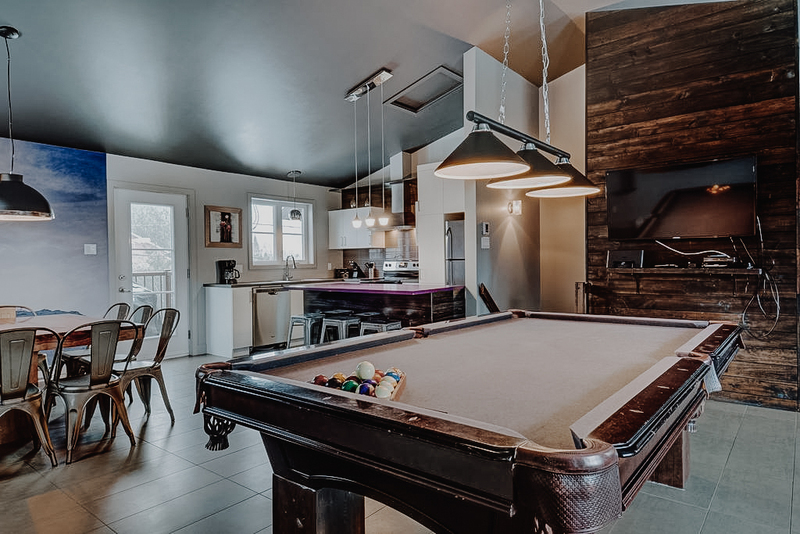 Prices are based on double occupancy – if you would like to be paired up with a roommate you should choose ‘single-willing-to-share’ at check out. Modern Adventure will pair you up with a roommate of the same gender to share a tent and lodge accommodations with. If you are a solo traveler and want to have your own accommodations, a $800 supplement will apply at checkout – these spots are very limited due to the type of accommodations on our adventure and are available on a first-come, first-serve basis (See our Terms and Conditions for full details). US citizens do not require a visa to visit France, however are required to show a valid US passport. It is recommended that your passport is valid for six months after your travels are over. For citizens of other countries, please check with the French Embassy or Consulate for information and requirements. Roundtrip airfare to/from France; travel insurance; transportation to the trip’s meeting point; activities not included in the trip itinerary; lodge incidentals including room service, laundry, etc; personal gear; gratuity for tour leader. You may cancel on or before June 4, 2019 and receive a full refund minus a $500 per-person service fee. If you cancel between June 5 and July 9, 2019 there is a 50% cancellation fee. On or after July 10, 2019 there is a 100% cancellation fee. We highly recommend purchasing travel insurance as we are not able to make exceptions to this policy in cases family/medical emergency or cases of the trip being cancelled (See our Terms and Conditions for full details).